Magnificent!!! That is the only word to describe this outstanding pin/pendnat. 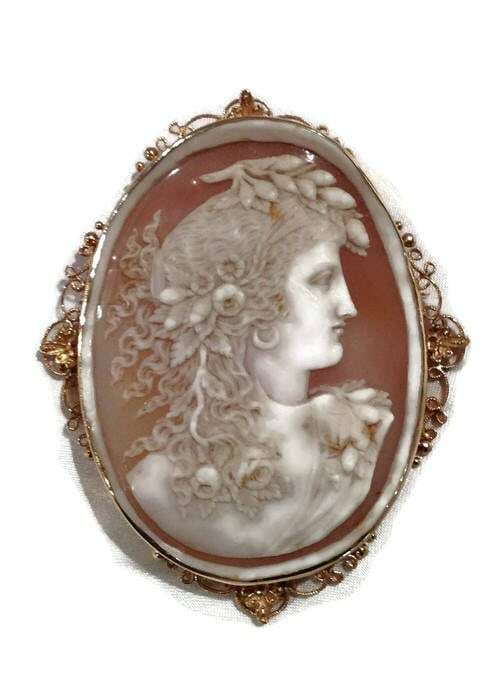 The cameo is ornately hand carved with no chips or breaks. 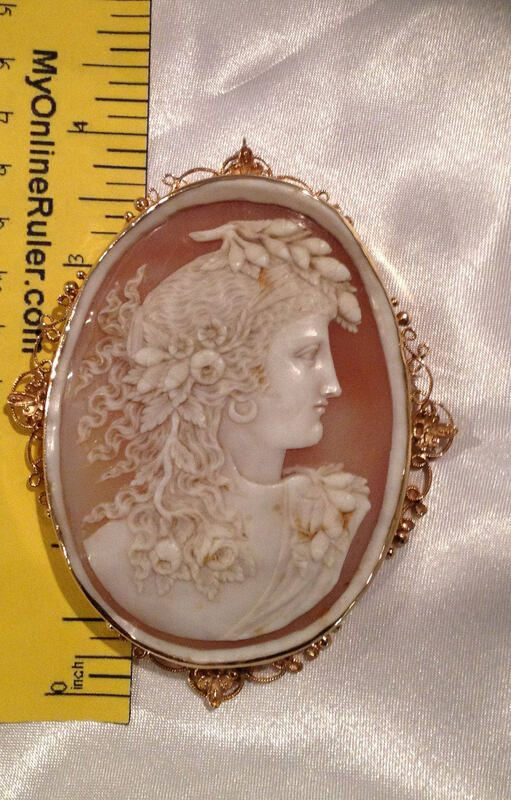 The cameo depicts a woman with long flowing hair with flowers. 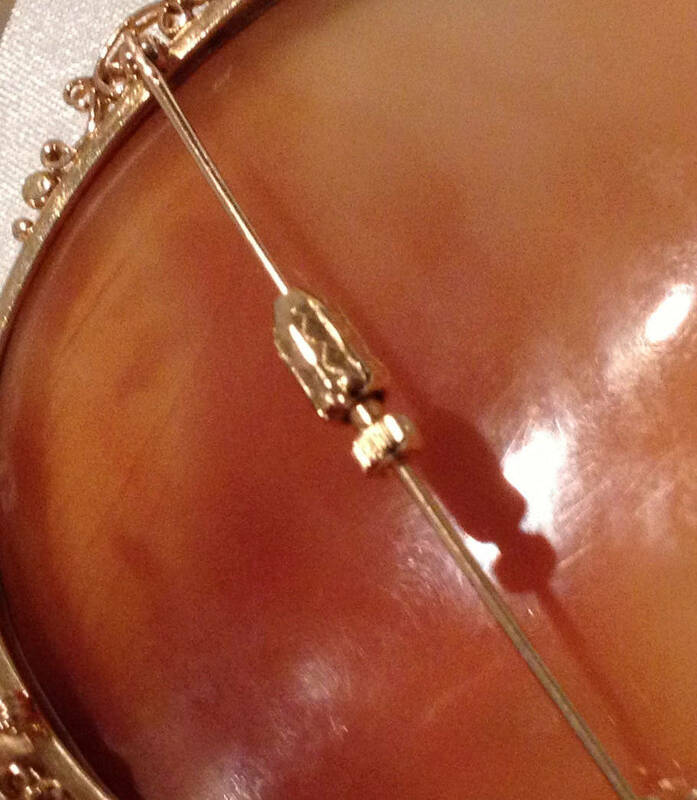 The entire pin including frame measures approximately 4 inches! 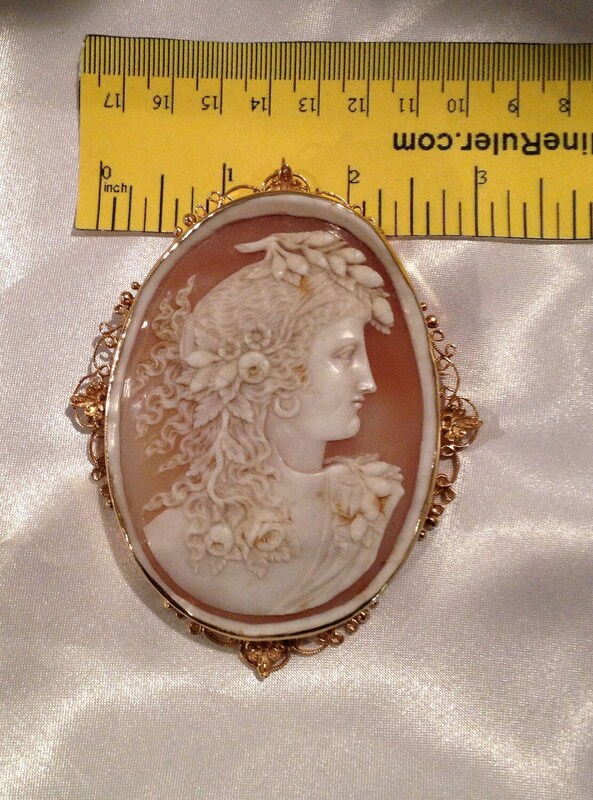 The cameo is from the late 1800's however I believe the 14 karat yellow gold frame was made slightly later...perhaps around the early to mid 1900's. 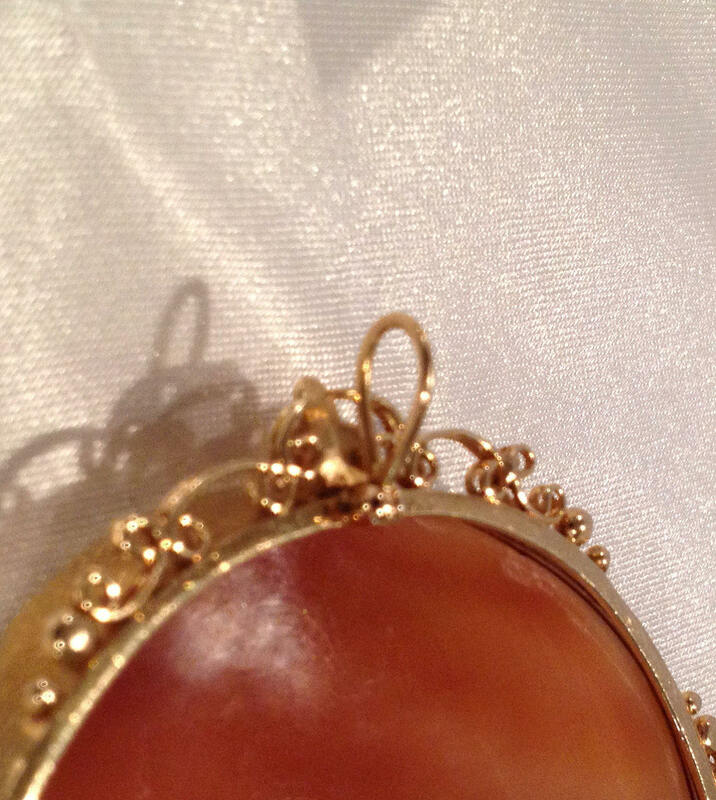 On the back of the frame the pendant attachment can be swiveled down so as not to be seen when wearing it as a pin. There are some small stress lines on the back of the shell but cannot be seen from the front. This cameo is truly AMAZING!! !